Elephants can decipher human voices better than we can | The Verge. US bans commercial ivory trade – Yahoo News. The country of Namibia is likely the biggest leader for wildlife conservation in Africa. This great success is thanks to a wide range of incentives for the conservation of wildlife by private citizens. Essentially, for wildlife to thrive it must have value. Many people think wildlife has intrinsic value, and I would agree with this. Simply knowing the animals are there and that I may be able to see them one day is enough for me. This, however, is a First World luxury. When you are starving and cannot afford to feed your family aesthetic values do not mean anything to you. Namibia’s conservation efforts have been extremely successful as they specifically address this issue in their wildlife management strategy. Namibia was not always a wildlife paradise though. Before it gained independence in 1990 wildlife populations were at all time lows. Predators were seen as threats to cattle and thus were designated as vermin to be exterminated. Herbivores were seen as competition for grazing lands as well as sources of meat. During the military occupation of Namibia wildlife was illegally slaughtered by soldiers and locals for bush meat. Conservation was not a priority. However, after Namibia gained its independence from South Africa conservation became a top priority. Namibians recognized the wildlife was part of their cultural heritage as well as an excellent source of income. Local communities could now apply to become conservancies and gain ownership of their wildlife. Communities saw opportunities to generate income from the wildlife rather than exterminate the animals to make room for their cattle. Wildlife has become one of the largest sectors of the Namibian economy through photo safaris, ecolodges, regulated hunting, and meat harvesting. Thanks to these economic incentives Namibia now has 79 conservancies covering over 16 million hectares. According to the World Wildlife Fund 44% of Namibia’s land area is devoted to conservation. The benefits of this new-found conservation mindedness in Namibia is evident. Predator populations are recovering, herbivores are found in excellent numbers, and poaching is relatively low. To my shame I have not yet visited Namibia, but this is something I hope to remedy soon. This country is truly a gem of wildlife conservation due to its multi-faceted approach to wildlife management. 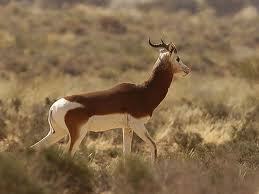 Below are a few more links to information about Namibian conservation efforts. Namibia: A Model For Conservation | First For Wildlife. 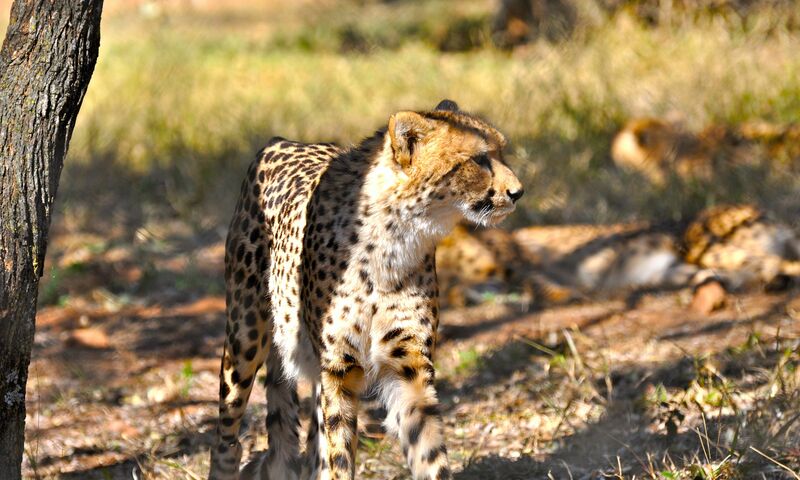 Namibian Cheetah Conservation Success Story. A victory for conservation was recently announced. On January 20 of this year President Obama signed into law the Omnibus Bill, which includes a provision to help prevent the extinction of three rare antelope species. 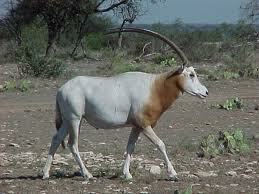 The “Three Amigos” provision of the Omnibus Bill allows ranchers in Texas to manage their herds of addax, dama gazelle, and scimitar-horned oryx without federal intervention. For those that have followed this blog for a while you may remember one of my first posts was about these three species. The link to which can be found at the bottom of this page. These three species virtually extinct in the wild, yet they are thriving here in the US on large hunting ranches in Texas. Unfortunately, as I predicted their numbers took a drastic hit over the last few years due to this ban. Most census data puts their populations at roughly half of what they were in 2010. This was thanks to the ban on hunting of these species in Texas. Essentially what happened was the ban removed the value from these animals. Several animal rights activists decided they would rather see the species completely extinct rather than survive on hunting ranches. When the animals no longer had value they were no longer cared for. These ranchers are businessmen and could not afford to waste time or money on an animal that would not help them make ends meet. The good news is, value has been restored to the three species in question. The bill has just been signed, but hopefully we will start seeing the benefits soon as populations hopefully begin to increase here in the US. I for one would rather see these beautiful creatures continue to thrive, even if a few have to be hunted, than for them to be lost forever. The recent auctioning a black rhino permit by the Dallas Safari Club has created quite a stir lately. Several animal rights organizations have been protesting and petitioning to prevent the hunt from happening. They have even gone so far as to send death threats to members of DSC and to the winner of the permit. The killing of a black rhino does not sit well with them as they are opposed to hunting or use of wildlife in any fashion or for any reason. However, they fail to see what the hunt represents and reject the scientific evidence that states a hunt like this can have significant benefits for conservation. The planned hunt actually has significant conservation benefits. All of the money raised through the auctioning of the permit went back into conservation as it was donated to a conservation trust fund managed by Namibia’s Ministry of Environment and Tourism. Along with general habitat improvements that help all species, this money is used to fund relocation efforts to reintroduce rhinos to habitats (O’brien) and microchip the horns of living rhinos to help combat poaching. So the hunting of one rhino in turn saves the lives of many more and allows the populations to thrive. 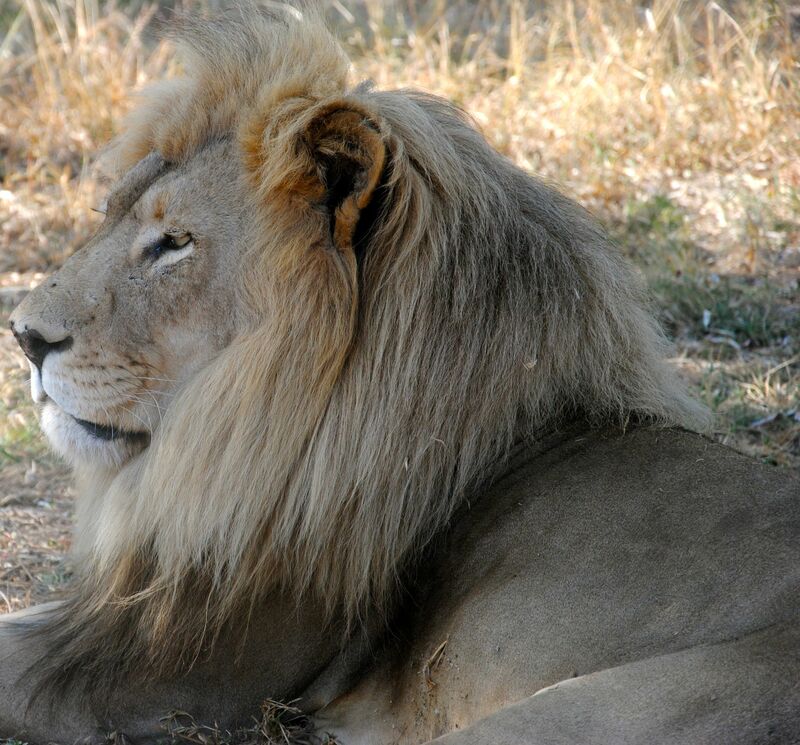 In fact trophy hunting is a major part of Namibia’s wildlife management plan. In Namibia the wildlife generally belongs to local conservancies, which are owned and operated by local tribes (Conniff). This brings value to animals which may otherwise be considered nuisances and thus removed or eliminated. Hunting remains one of the largest contributors of wildlife based income (McGranahan). 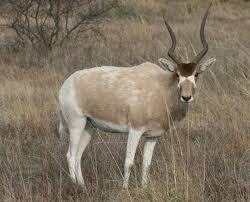 Hunting is often for the first form of wildlife income to come to a conservancy as hunters are easier to accommodate. As hunters do not require the luxuries that tourists do conservancies are able to bring in hunters to raise the capital necessary to build a game lodge so they may later hosts photo tourists (Conniff). Many times it is not even possible to incorporate general tourism in an area due to poor road access, inability to raise the capital to build a lodge, or the area is so arid that game populations are not large enough to attract photo tourists. In these cases hunting is the only means of bringing value to the wildlife. 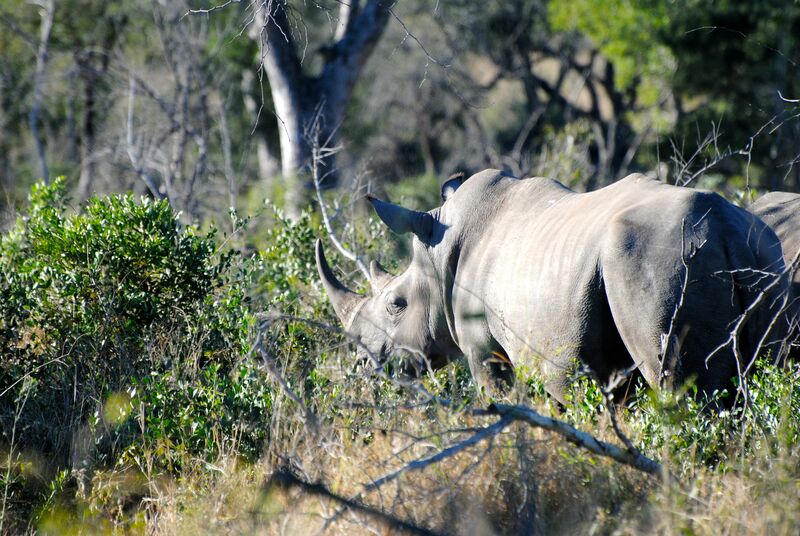 Namibia’s rhino’s, however, are not owned by the conservancies but rather by the state. 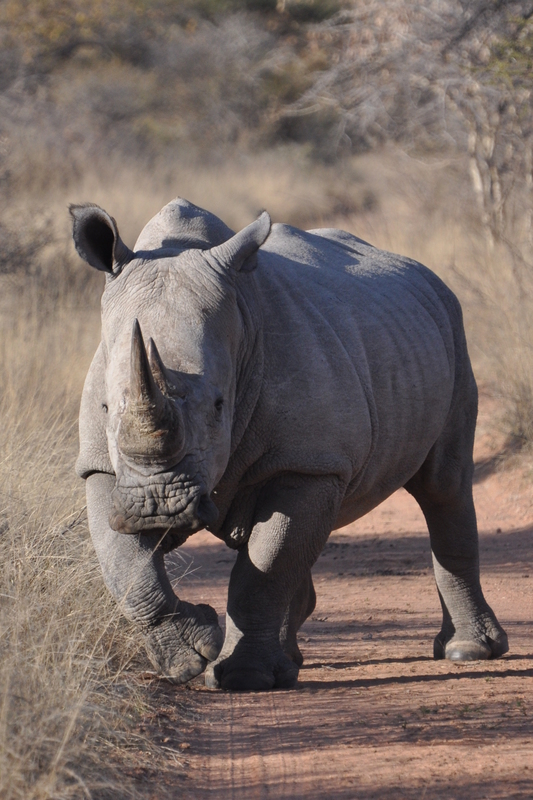 This allows the Namibian government to better regulate the fate of their rhinos. Although CITES provides Namibia with permits for the harvest and export of five rhinos a year the MET often limits it to just three (Conniff). 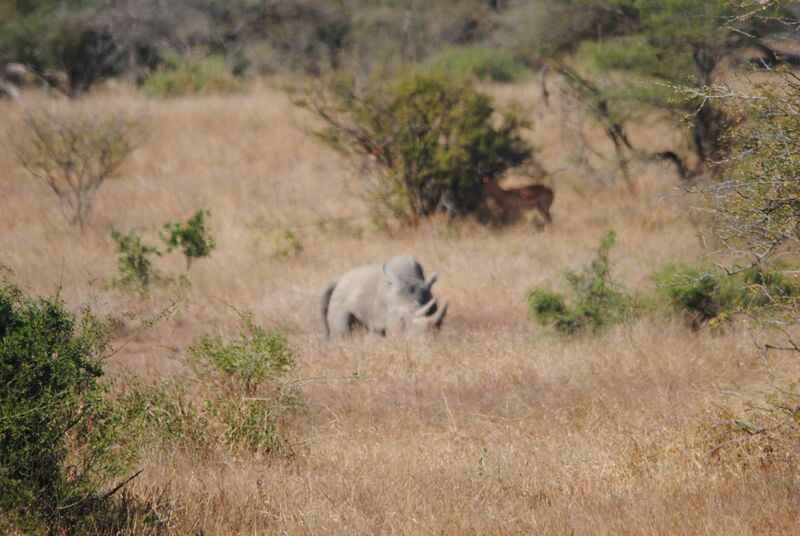 The rhinos hunted are carefully selected and game officials accompany the hunter to make sure the right one is taken. Hunted males are generally older males that are beyond their breeding prime and often very aggressive (Emslie). They have been known to attack and kill other rhinos, not just challenging bulls but cows and calves as well. The removal of these males can trigger a population increase as a younger, more fertile bull will take over the territory and breeding. These hunts raise valuable funds for conservation. With 1,750 of Africa’s rhinos living in Namibia, the Namibian government works hard to protect them. While the neighboring country of South Africa lost around 1,000 rhinos last year to poachers, Namibia only lost 2 (Conniff). Their efforts appear to be working as rhino populations continue to rise as poaching levels remain low. Without regulated hunting though the program would certainly fail as the majority of the funding to support it would dry up. However, the funds will likely not dry up any time soon as the DSC hunt, which so many people protested against, raised $350,000 on its own. The significance of this event cannot be disputed. While hunting may be distasteful to some, you cannot argue against the benefits it provides to conservation. Conniff, Richard. A trophy hunt that’s good for rhinos. The New York Times. January 20, 2014. Emslie, Richard. Rhino hunting. Save the Rhino. 2005. McGranahan, Devan A. Identifying ecological sustainability factors for ecotourism and trophy hunting operations on private rangeland in Namibia. Journal of Sustainable Tourism. 19: January, 2011. O’Brien, Ben. Why antis are wrong about Corey Knowlton & hunting the black rhino. Peterson’s Hunting. January 18th, 2014. One last piece on rhinos to end the year. Can rhinos profit from trophy hunting? | Project: African Rhino.